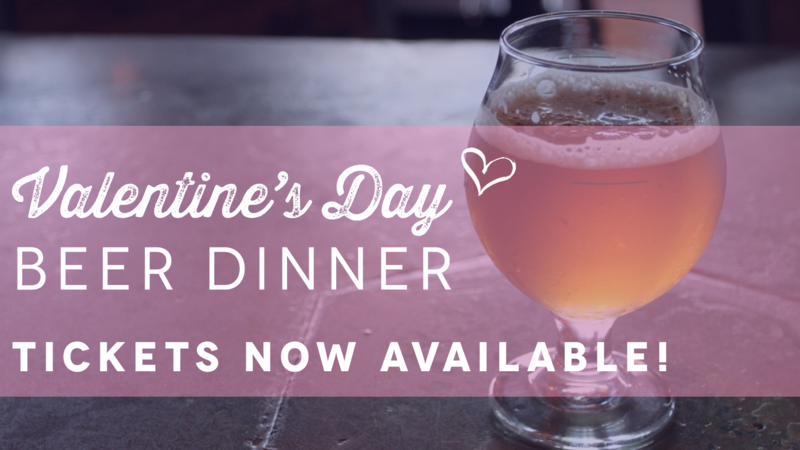 JOIN US AT BRIX PROJECT AS WE CELEBRATE LOVE THE BEST WAY WE KNOW HOW, WITH BEER. Price: $75 per person (includes tax and gratuity) *we are limited to 50 tickets! Executive Chef Justin and Brewmaster Ron Raike are back at it to craft a special 4-course menu that is expertly paired with Playalinda beers. Imagine dining in the unique ambiance of Brix Project’s taproom and enjoying creative dishes from one of the most unique eateries in Brevard County. There are a limited amount of tickets available and they are expected to sell out quickly. Tickets are $75 per person and include gratuity and tax. You can purchase yours online, in either taproom or via phone (321) 567-5974. Playalinda Brewing Company – Brix Project will be CLOSED to the public for this event. Spinach, watercress, onion compound butter, roasted oysters with panko and parmesan.